Hi mom. And mom, and mom? 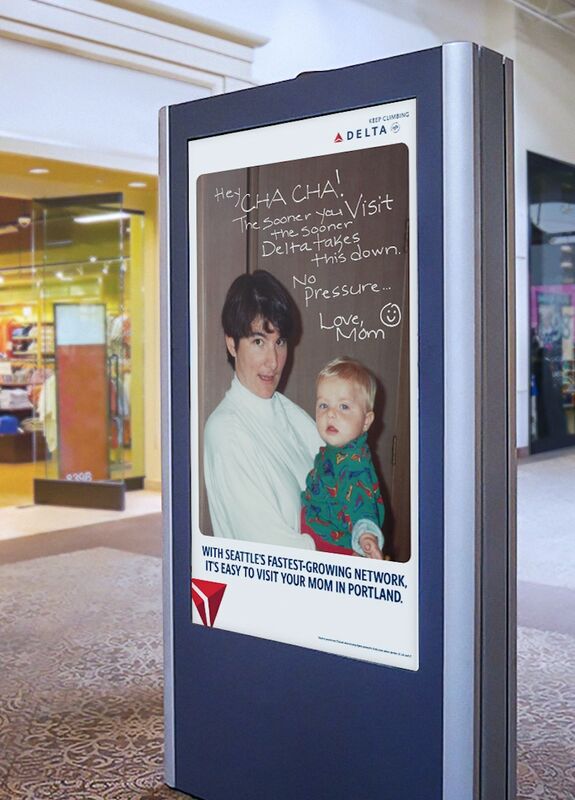 On the continuum of maternal guilt trips, Delta Air Lines may have carved out some new, good-natured ground with a stunt that encourages Seattle residents to fly home to see their mothers. 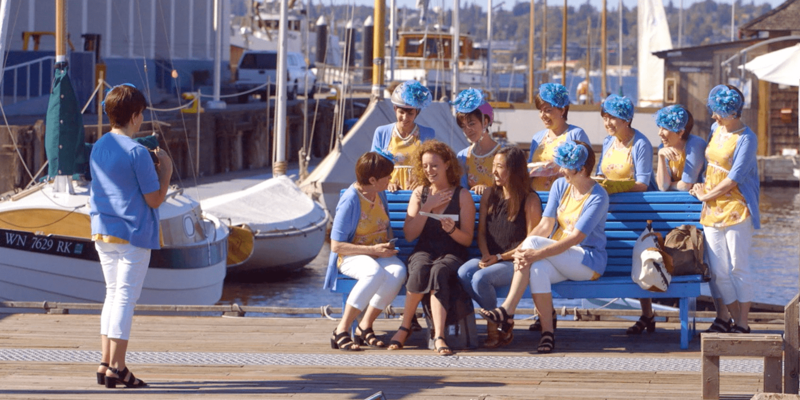 Created by Wieden + Kennedy New York, “Seattle to Mom” is clean fun and the crown jewels of the campaign are in-person stunts where look-alikes dress up in identical outfits. A mom from Michigan catches her daughter outside talking to a friend while another from Chicago (who knows, to the mile, how far Seattle is from home) overtakes the coffee shop where her daughter works—with a little bit of help. The unsuspecting targets slowly begin to notice the gaggle of doppelgängers and realize that something is afoot, leading up to a satisfying payoff where a “fake” mom hands the phone over to each to talk to their real moms. Oh, and there’s a plane ticket for a trip home to seal the deal. Even one of Delta’s partners in the city, Seattle Sounders FC, plays along as brothers Cristian and Alex Roldan, California natives who both play for the 2016 MLS Cup champions, get the guilt treatment from their mom. 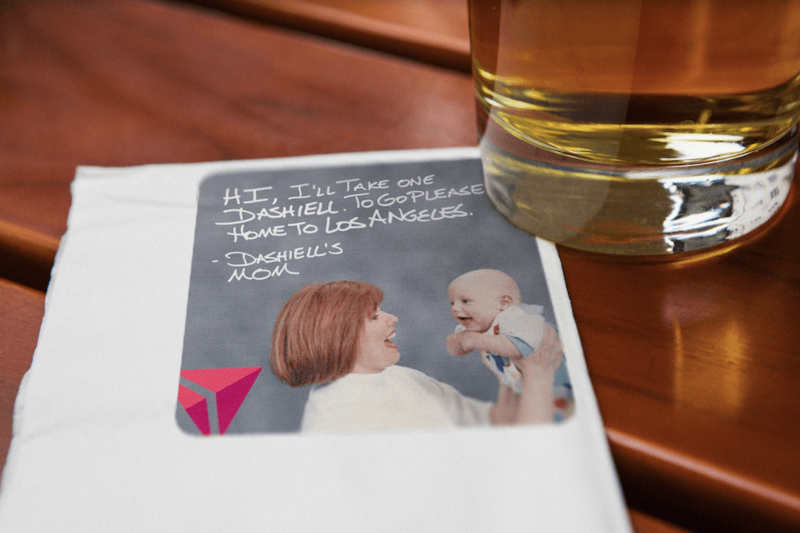 It’s a smart and fun personalized campaign that targets the more than 60 percent of Seattle residents who are transplants—and is a welcome mom-centric campaign that falls outside of the traditional Mother’s Day season. Additionally, it highlights Delta’s continued, aggressive push into the market where Alaska Airlines has long held the largest market share. The campaign also includes personalized, handwritten messages that dot the city. 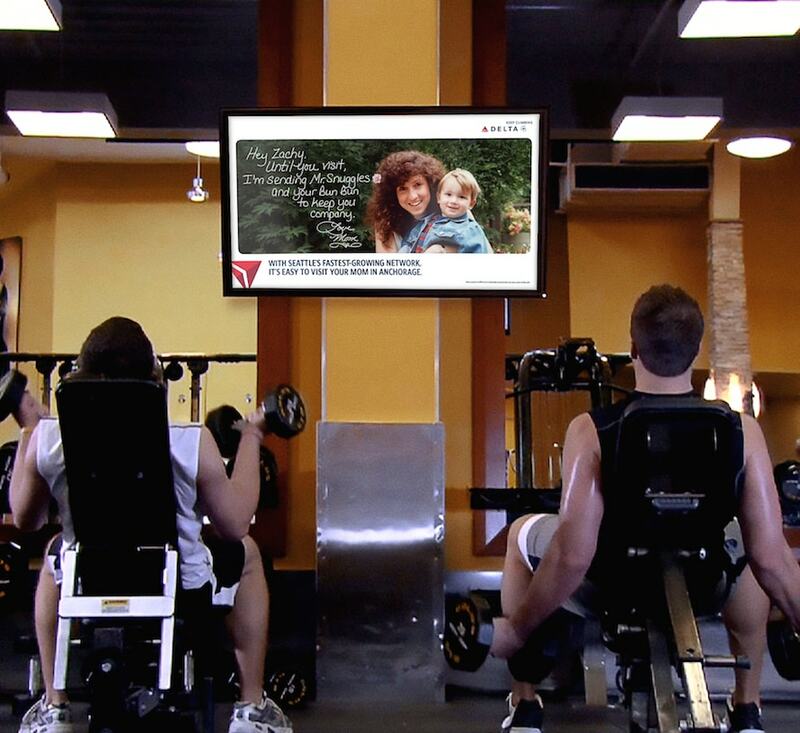 These reminders to visit home include photos of moms and their kids on billboards, storefront posters, and at local bars and other favorite spots in the city. 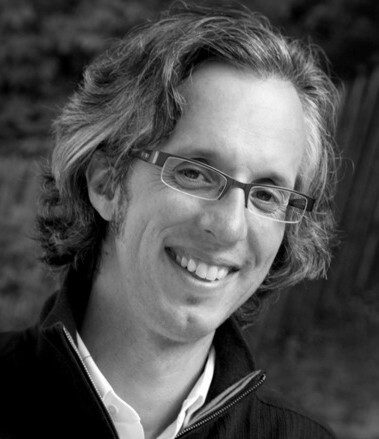 Doug Zanger is senior editor at Adweek focusing on creative. He is based in Portland, Oregon and unabashedly loyal to the Pacific Northwest.